After quarterbacking the University of Oklahoma Sooners to two Orange Bowl championships and starring in the Canadian Football League, J. C. WATTS JR. became the first African American elected to statewide office in Oklahoma and later served four terms in the U.S. Congress, rising to the chairmanship of the Republican Conference and authoring the legislation for President George W. Bush's faith-based initiative. 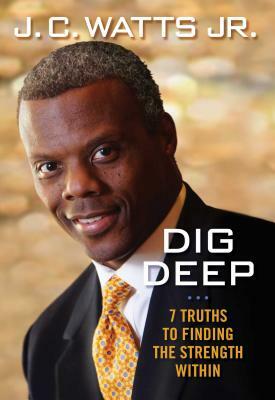 A former youth pastor and the son of a pastor, Watts is the founder and chairman of Watts Partners, a government affairs firm in Washington, owns John Deere dealerships in Texas, and is president of Feed the Children in Oklahoma City. His previous book is the autobiography What Color Is a Conservative? My Life and My Politics. The father of six children, Watts lives with his wife, Frankie, in Fairfax, Virginia.